The success of the Festival relies on the hard work of the staff, and a cadre of talented interns. Hailing from across the country, each of the interns brought different skills and insight to their assigned responsibilities, helping make the 2015 Festival a great success! Georgia native and hair twirler, Sarah Freeman just graduated from Emory University with a double major in Dance and Movement Studies and English. She earned highest honors on her senior thesis project, All Being Displaced: Movement Translations of Flannery O’Connor, and received the Louis B. Sudler Award for the Arts. She has performed for local artists including Emily Cargill and Dancers and Catellier Dance Projects. Through internships in the Atlanta dance community, Sarah has become increasingly invested in its success. 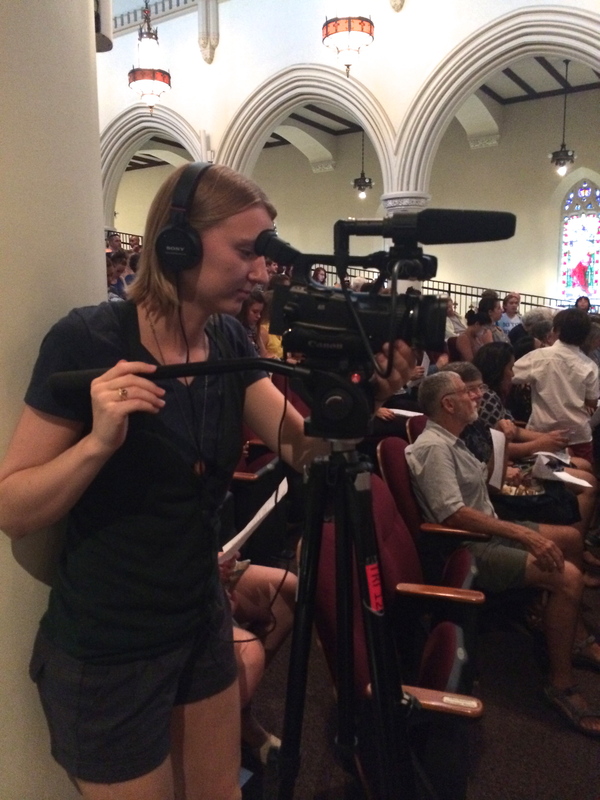 “Through my experiences with different arts organizations, I’ve seen and become fascinated by the challenges and diverse requirements for logistically supporting different kinds of structures and missions,” Sarah said. This passion for creating and sustaining artistic communities led her to apply for the Administrative Internship position. 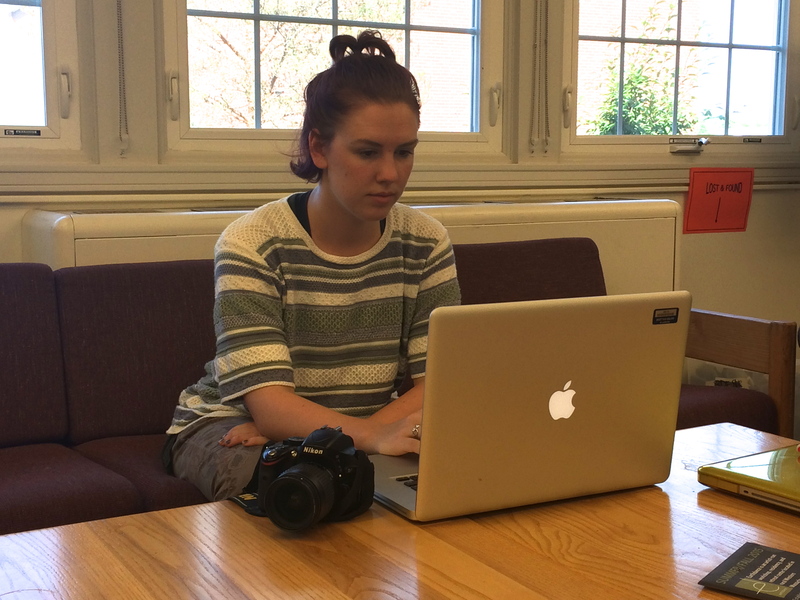 She was the first intern to arrive and quickly took on the role managing access to college facilities for visiting artists, faculty, and company members. Sarah also managed scheduling for the body-workers, regularly updated the student database, sorted festival mail, proofread programs and coordinated special events. “I’ve been able to see how Meredith and Laura balance the rules of the Festival and the College with the well-being of each student, faculty and artist individually. With so many people constantly coming and going in a very intimate and intense creative environment, I have seen how important it is to have a calm, attentive and organized central point,” she said. 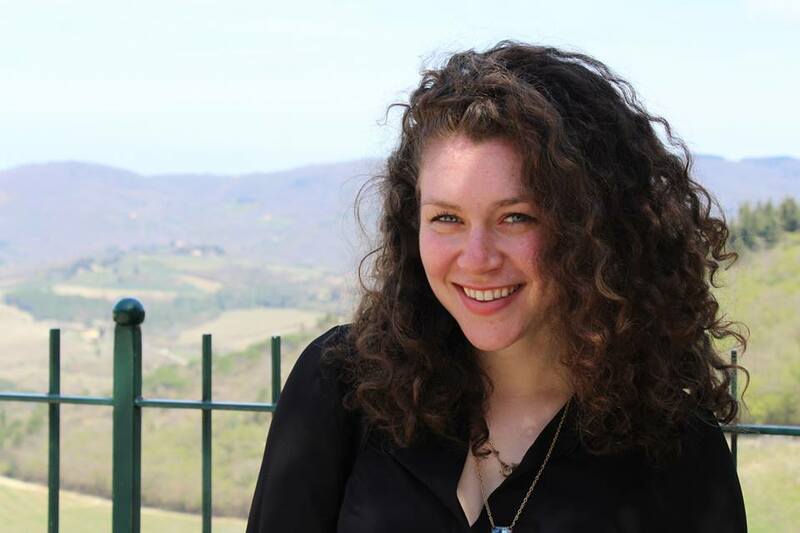 After Bates, Sarah will be taking a new position as a Development Associate at Moving in the Spirit, an Atlanta non-profit that uses dance as a tool for youth outreach and community engagement. She has also been offered an artist fellowship at a brand new dance space, The Lucky Penny’s Work Room, where she will have 6 hours(!!!) of studio time each week to explore. In the fall Sarah’s choreography will be presented by Art on the Beltline, a City of Atlanta public art project, and the Emory Manuscript Archive and Rare Book Library. Regan Radulski is a competitive ballroom dancer who just graduated from Bates College with a B.S. in Dance and a concentration in Chemistry. She grew up in Topsham, ME where she danced at a local ballet studio, before branching out into other forms during high school and college. Her dance studies at Bates culminated with her thesis performance micro:MACRO and the dance-Isadora technology collaboration Transparency with Lucas Wilson-Spiro. In addition to her dance studies, Regan also led the Bates Ballroom Team as president and captain. 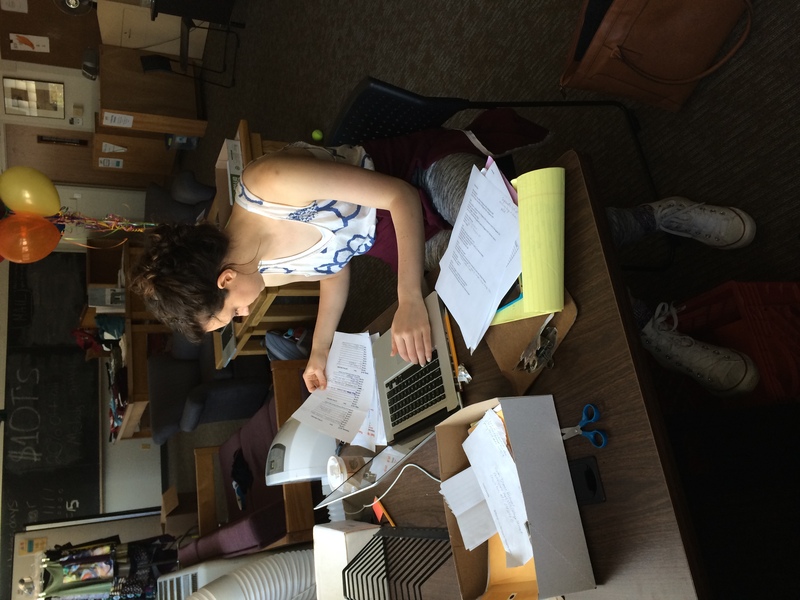 Regan has worked as an administrative assistant with BDF since her first semester at Bates. One of her favorite parts of her work with BDF is the summer when the campus come alive with dancers, meeting everyone, and interacting with people face-to-face. Coincidentally, Regan says that is the biggest lesson she has learned during her time here: amidst all of the creativity and joy that is dance, it is a business. 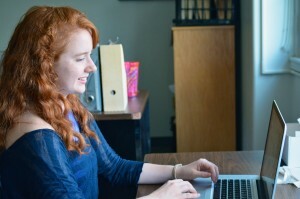 Regan has also learned that she enjoys supporting the arts community through administration. At the end of this year’s Festival, she will be moving to Boston to pursue an MS in Arts Administration at Boston University. She plans on dancing in the Boston area with a focus on the international ballroom styles. Fernando Chonqui was born and raised in Ecuador and moved to Florida five years ago to pursue an undergraduate degree in math. Early on in his studies he took a dance elective, and decided to change course and immerse himself in the world of dance. Now he is pursuing his dance major at the University of South Florida in Tampa. “It’s the best decision I have ever made in my life,” he said. Fernando also has a growing interest in arts administration. 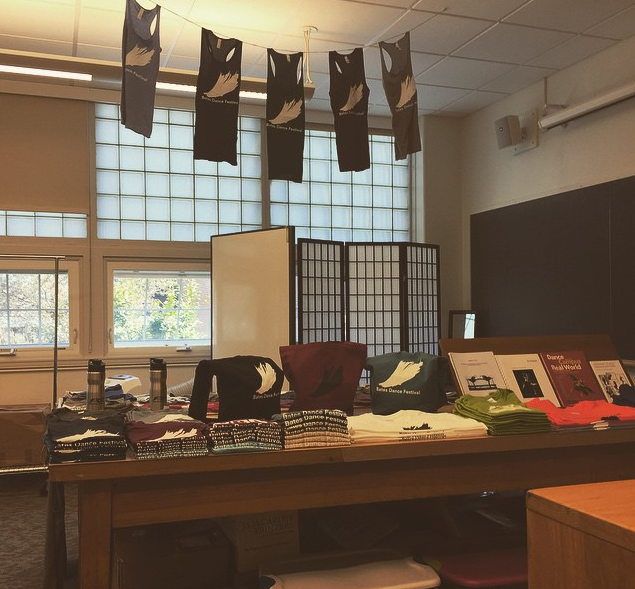 Here at BDF, he managed the festival’s store, selling BDF apparel and water bottles, CDs of the musicians, dance apparel made by Melody Eggen, knee pads, and recommended reading from the faculty. Fernando could be found selling items during the lunch break, checking inventory, tidying up the store after a rush, or carting the mobile store to and from performances. The biggest thing Fernando learned is how easy it is to connect other interests to dance. “I never thought my five years of retail experience, working at clothing stores, would be the reason why I am here today,” he said. After BDF, Fernando will begin his second year at USF. 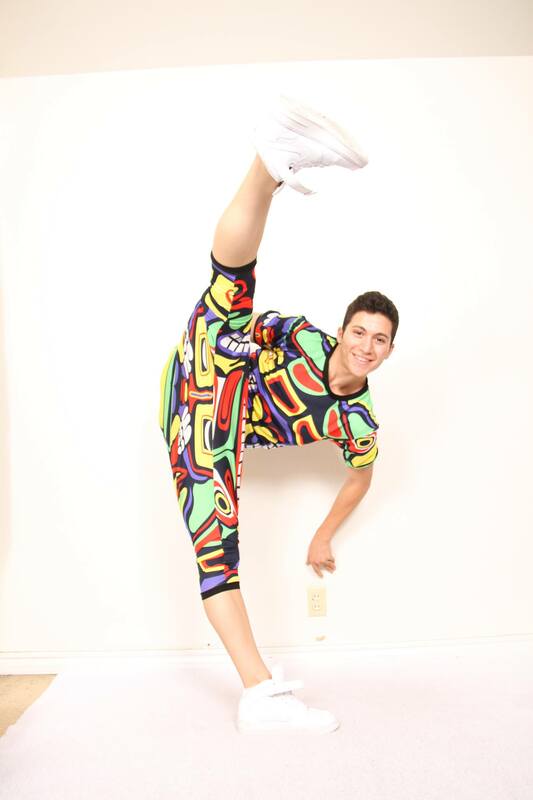 He wants to start expanding his involvement in dance into the Tampa community. Ryan McMullen is from Philadelphia and recently graduated from Slippery Rock University with a B.A. in Dance. Here at BDF, Ryan is referred to as the “Boy Friday,” because his arts administration internship position is to work with the director to manage and implement the myriad of behind-the-scenes details, both mundane and challenging, that keep the Festival running smoothly. The arts administration internship challenges all of the interns, and for Ryan the greatest take away has been the experience of working well with others. This skill was used during registration, when the arts administration interns welcomed over 160 people in less than two days. “I believe the interns and the faculty are teammates working together to make the Festival the best place it can be,” he said. 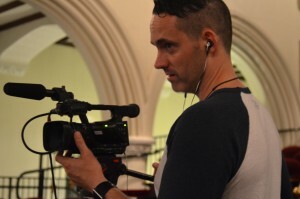 With this position, Ryan feels he has been given the opportunity to connect with multiple artists on a new spectrum, especially artistically. The best part of the position was working with Laura Faure, Ryan said. “This woman is amazing at her job, and I have enjoyed every moment working with her as I learn more about arts administration. Bates Dance Festival feeds a dancer’s soul, and is the place to be if you want to become a stronger artist, dancer, and well-balanced human being,” he said. In the fall, Ryan will be attending Florida State University as a graduate student to earn his MFA in Performance and Choreography. He will also be a graduate assistant in production management and will utilize the skills he acquires during this internship. “The new organizational, communicative, and social skills I have acquired will be imperative during my time as a graduate student,” he said. 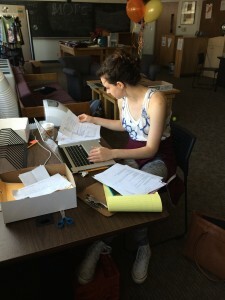 Minnesota native, Sarah Ellen Miller, just graduated from Beloit College with a B.A. in Dance and Creative Writing. 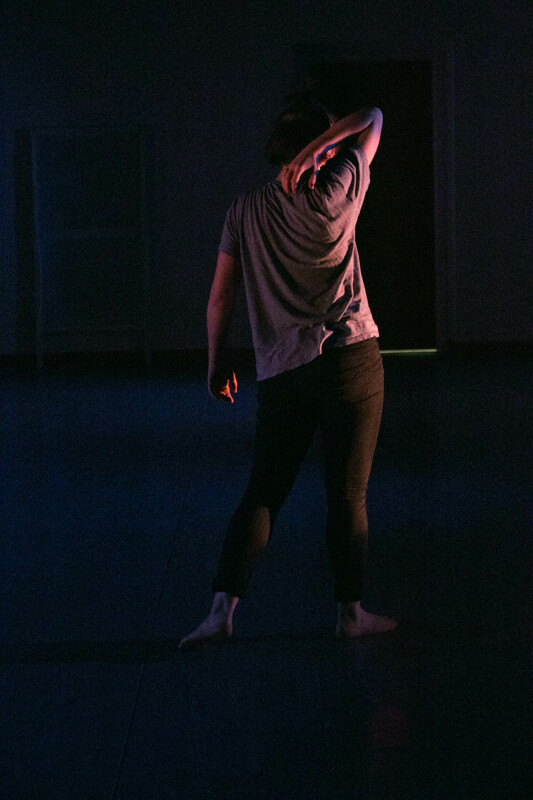 During her time with the Beloit College dance program, Sarah performed at the Harvest Chicago Contemporary Dance Festival, the New Prague Dance Festival, and the World Dance Alliance Global Summit in Angers, France, as well as many college performances. During Professional Training Program she balanced her blog posts with the task of organizing the New Works/Young Choreographers Showcase, which took place on the final afternoon of the festival. Originally from Sandwich, MA, Meghan Carmichael is a graduate from the University of North Carolina School of the Arts with a B.F.A. in Contemporary Dance (2012). Now based in Providence, RI, she dances for choreographers Jessica Howard, Betsy Miller, and ali kenner brodsky & co. (for whom she is the marketing director). She is now teaching modern/contemporary technique for the Providence Ballet Theater and Festival Ballet Providence training programs and is helping build a community dance outreach program collaborating through the Moses Brown School and RHD – Rhode Island. 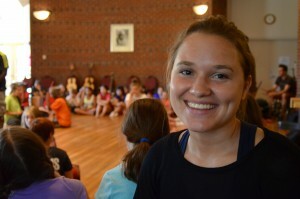 Meghan has also launched a blog for the Providence dance community called DancePVD. Here at BDF, Meghan worked as a Social Media Intern, writing for the blog and managing the Festival’s social media accounts. She feels this internship has given her the opportunity to understand and appreciate the power of social media in the dance community. She has also learned a lot about her own strengths and weaknesses during the internship, and has had the opportunity to address and delve into them to learn how to change. This experience will help Meghan as she continues her work in the community of Providence, Rhode Island, and helps dance companies and choreographers with their social media presence such as akb & co and Doppelgänger Dance Collective. 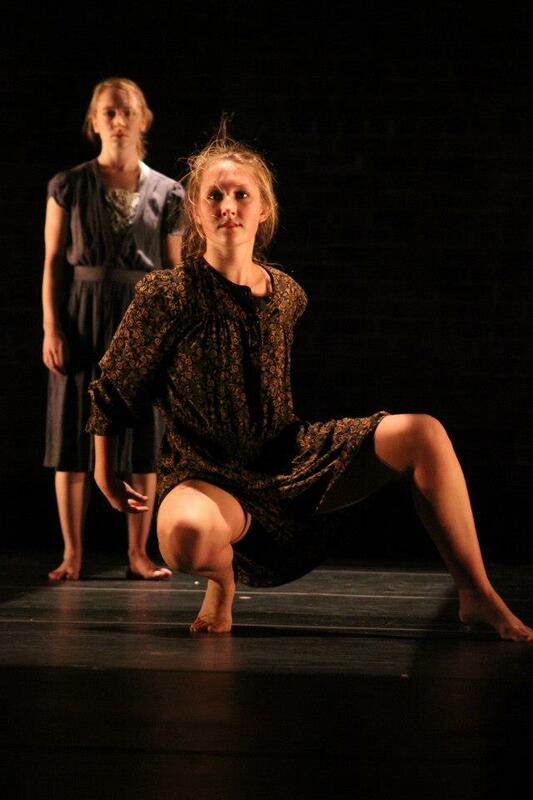 Meghan will be joining Prometheus Dance Company in Boston as a company member this upcoming fall. Check out Meghan’s website here. Timna Naim moved to California after living in Israel and New York, and currently attends UCLA. He is working to achieve a Dance Major with minors in LGBT Studies, Visual and Performing Arts Education, and Global Studies. Timna’s dance background includes studio Hip-Hop and Jazz, formal Ballet school, a Hip Hop Team, and several international culturally specific forms offered by the World Arts and Culture Department. His larger focus as an artist is his fascination with improvised movement and music, as well as his six years of creating ceramics and sculptural works. Each morning Timna works in the Modern and Hip Hop classes with youth from the Lewiston-Auburn community. 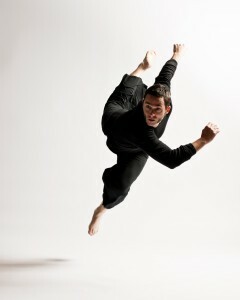 He will also present a new work for the New Works/Young Choreographers Showcase at the end of the Festival. This year at UCLA, Timna will be working closely with one of his professors on a grant project about art in communities of trauma. “Beyond that, my future is going to be full of art, learning, teaching and discovering, the details of which are yet to be known,” he said. Madeline Warriner happily returned to BDF for a second year as a Dance Education intern with the Youth Arts Program. Maddie just received her Ed.M. in Dance Education and has a B.F.A. in Dance, both from Rutgers University in New Jersey. She is certified to teach in K-12 public schools and loves working with children and adolescents. She also recently became certified to teach yoga (RYT 200). Maddie worked as part of the YAP team, to encourage the students (ages 7-16) to feel supported and inspired enough to explore their own ideas and expressions of creativity. “The team bends over backwards to make sure the program is beneficial for every single child,” Maddie said. 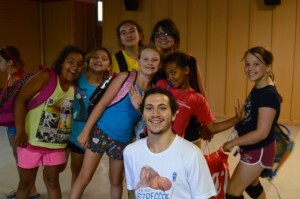 The YAP participants take dance, music, theater, and art from a variety of teachers and also generate their own work. 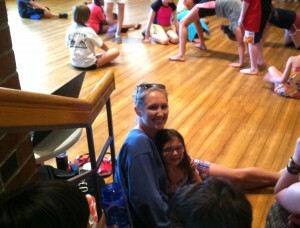 This year Maddie helped teach choreography, and was amazed by what the kids came up with. Because students from a multitude of places, with a range of levels of dance experience all interact in the same space, the job can be a challenge. At the same time, however, Maddie said it’s the best part. “All of the kids learn to work together, learning from each other about dance and each others’ cultures as well as from the teachers and interns,” she said. Maddie has learned a lot from the staff and the kids at YAP, from classroom management skills and collaborative and co-teaching skills, to facts about chickadees and the workings of an atom (from 8-year olds of course). “The staff really wants to make the experience beneficial for interns as well, providing us with opportunities to lead parts of class, and have some freedom and creativity with designing our own activities,” Maddie said. Meg Robbins just graduated from Connecticut College with a B.A. in Dance and Environmental Studies, earning a certificate in Community Action and Public Policy. 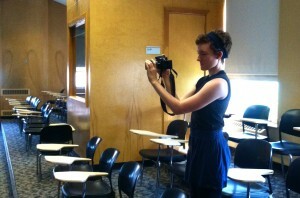 She is working with the Youth Arts Program as an Education Intern in the Art and Storytelling. Meg worked with the youngest group of Yappers at the end of the day, and was impressed by their level of excitement and energy. In storytelling, she learned how to create a comfortable, home environment in a classroom, as well as encourage confidence in the kids sharing their voices, and in the art classroom, she practiced ways to support dialogue between children regarding the artistic choices they are making. “I have learned this from the wonderful teachers, Annalyn and Priscilla, who have given me freedom in the classroom to introduce projects and ask questions,” Meg said. After Bates, Meg is moving to Santa Cruz, California, to work as an Assistant Canvassing Director for the Fund for the Public Interest’s environmental campaigns. She hopes to continue to pursue work in arts and dance education, as well as connect with the community artistically. Kylie Sickler just finished her undergraduate degree in dance at Muhlenberg College in Allentown, PA, where she will be returning this fall to complete an elementary education certification. After hearing many wonderful things about the festival from others, Kylie felt grateful to be immersed in the beauty of BDF’s special community for the first time this summer. As a dance education intern for the Youth Arts Program, Kylie combines her passions for dance and education, while working with incredible youth from the surrounding area. “One of my favorite things about teaching is that in the process of imparting knowledge to others, I learn just as much, if not more, from the kids. These kids continually expand and reshape my understanding of dance, art, creativity, and the power of each to transform on an individual and communal level,” she said. Working with the kids has reminded Kylie to not overlook the simple things. “Sometimes in the process of tirelessly striving to create something new and complex we lose sight of all of the possibilities right in front of us or at the forefront of our minds. These young artists reinforce for me why art is not only important, but necessary,” she said. Kylie says her work this summer has deepened her determination to integrate movement and art-making into her future classrooms as a means of teaching, rather than as isolated and occasional activities. She is inspired by the way the kids bring uninhibited creativity and a rejuvenating energy everyday to the program’s activities. “It was amazing to witness their growth as individuals and artists over the course of the program,” she said. In addition, Kylie says, it has been a privilege to be able to work with the YAP faculty, who have become role models of teaching from the heart with devotion to the enrichment of the lives of youth. “I couldn’t wish for a better group of mentors as I prepare to enter the professional world and pursue a teaching career in an urban setting with a focus on arts integration while also seeking out opportunities to dance,” she said. Allie Freed is a rising senior at Bates from Magnolia, MA. She is a Theater and English major, and identifies herself primarily as a theater artist (and dance enthusiast). 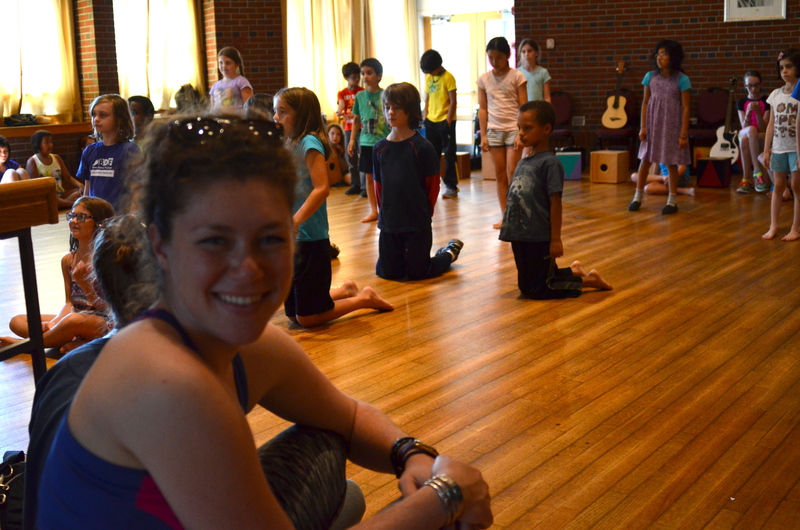 This summer, Allie was a Dance Education intern with the Youth Arts Program. She assisted in theater and art classes and, loved every minute. 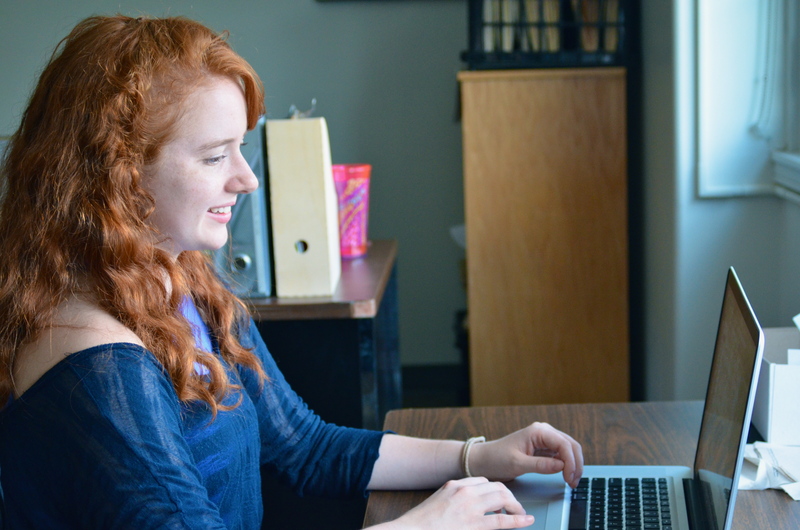 Both personally and professionally, Allie has felt the benefits of her internship. Allie said she has also learned a great deal about arts education. 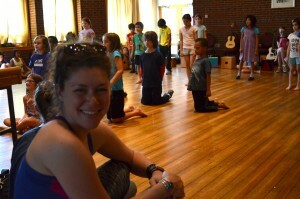 When she was not working with the kids, Allie was taking a modern class with Mary Carbonara and yoga with Robbie Cook. 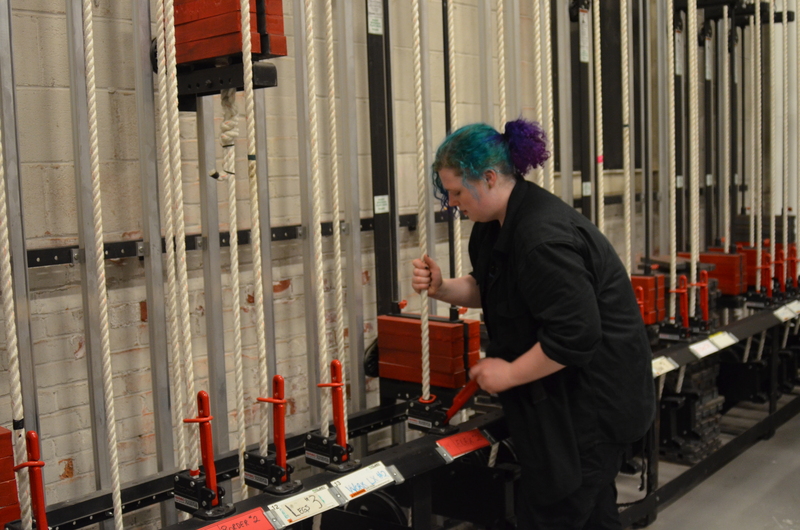 “I look forward to taking this experience with me as I travel into my senior year at Bates and into my post-grad life as a theater maker,” Allie said. Evan Carlson is a B.F.A. 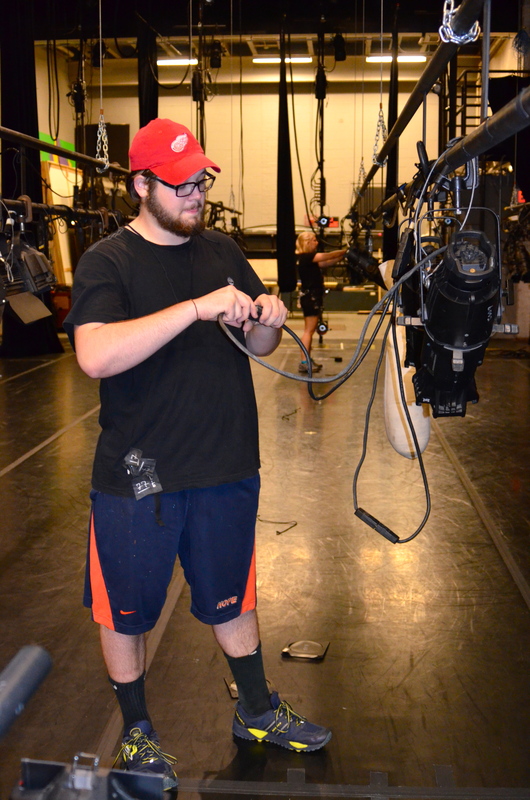 Theatre Design Major with an emphasis in Lighting Design for Dance at Western Michigan University. Here at Bates Dance Festival, he works as a Production Intern and will be designing lights for Kathleen Hermesdorf and Autumn Eckman for Different Voices. Evan has worked as a production intern at ADF, and will be the lighting designer for the WMU Winter Dance Concert this year. Evan thinks working here at BDF has been one of his best production experiences. “What sets BDF apart from all other internships is that interns are given the ability to propose solutions to problems, the opportunity to work closely with the companies and their personnel, and space to express our creativity by designing lights for Different Voices concert at the end,” Evan said. The small size of the production staff allows Evan and the other interns a lot of face time with their supervisors to build connections. 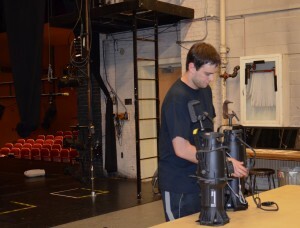 Evan’s biggest challenge has been adapting to a new theater and learning about protocol and where the inventory is kept. After BDF, Evan will return to Kalamazoo, Michigan to continue his studies at Western Michigan University. 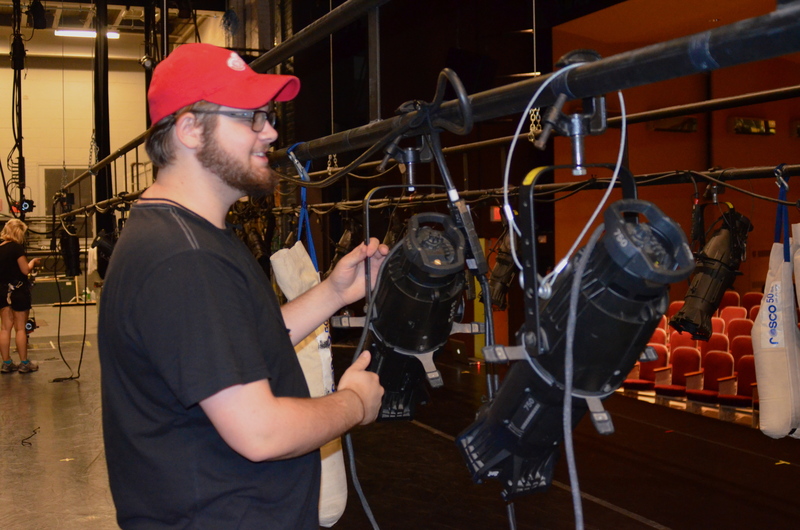 He will be the lighting designer for the first main stage performance, as well as the Dance Department’s Winter Dance Concert, and he will be the lighting supervisor for the East-Central American College Dance Association Conference in Early March. Evee Helman is currently studying technical theater production Colorado State University. At BDF she is a technical production intern. At the beginning of the Festival she helped set up each studio space with marley, and to prepare Schaeffer Theatre for weekly performances. 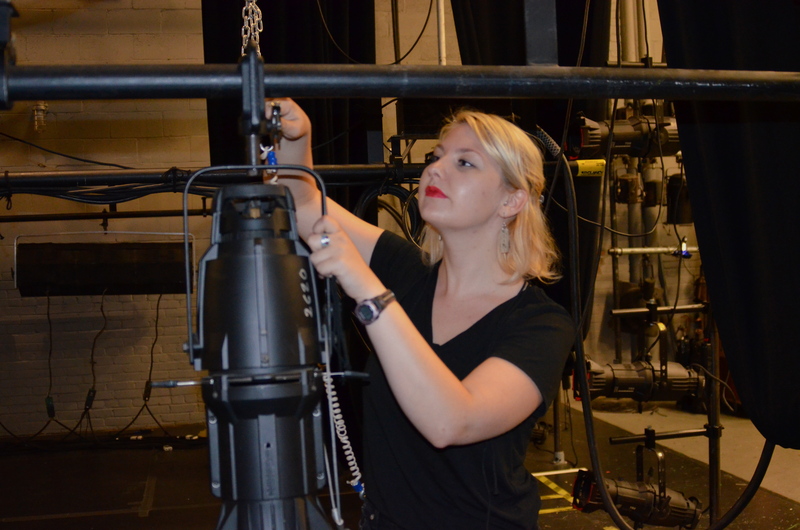 She also designed lights for Different Voices, and worked as part of the production team to complete a myriad of tasks. 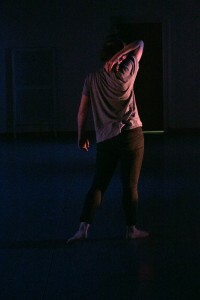 “It has been such a joy to work here at Bates Dance Festival and to fall in love with dance all over again,” Evee said. Evee feels she has learned a lot of valuable lessons as a designer and electrician, as well as met some of the greatest people. 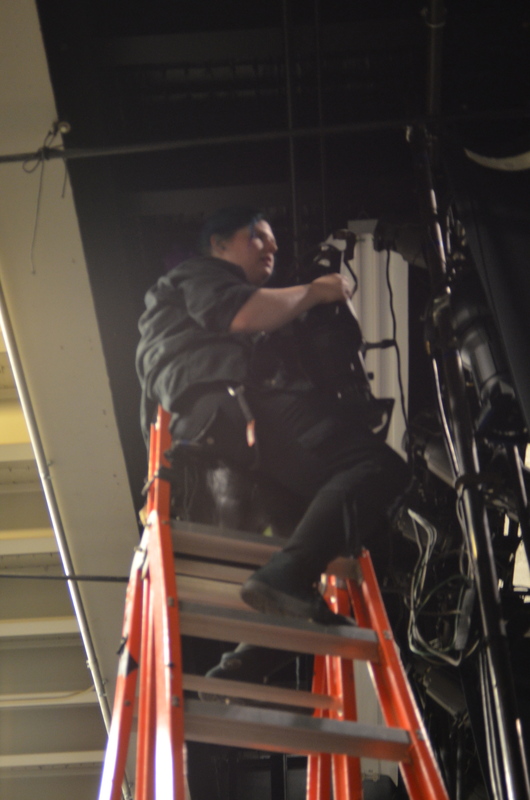 After each show, during strike, Evee could be found happily perched delicately at the top of a ladder, skillfully detaching lights and handing them down to her fellow interns. After she finishes up at Colorado State University, Evee hopes to move to the East Coast and continue her theater and dance production journey. Guenevere Figueroa just graduated from Bates College with a degree in Theater Design, and also stage managed for the Dance Program. She works at BDF under Greg Catallier and Carrie Cox as a production intern. She also said the connections she has made at BDF have been invaluable. Her interest in management has been fortified by the opportunity to meet each visiting company’s production staff and seeing the job from a multitude of perspectives. This fall, Guen will be the Company Manager at The Public Theater in Lewiston, and she is excited to use the skills she has gained at BDF. “The job requires knowledge of multiple aspects of the theater and I’m sure my experience at the Festival will transfer over in a positive way,” she said. Sam Wheeler is a Theater and Sociology double major here at Bates College entering his third year this fall. He has done lighting and sound design for the College’s Dance Program during his time at Bates and has also taken a few dance classes. Sam said the greatest take-away he gained during the internship was to not be afraid to take leaps in this business. “Sometimes you are not going to land on your feet, but you will get up from the fall no matter how bad it may seem,” he said. He has also learned how important it is to talk to people, get to know their stories, and learn about different ways of life, because it can change the way you think about the rest of the world. 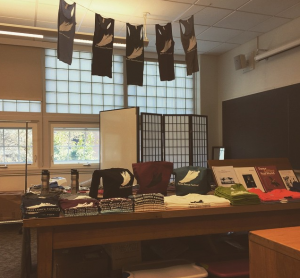 Sam picked up skills that will better his designing and decision-making process during the second half of his time at Bates College. “Each time I focused a light, pressed the ‘go’ button, brought in the curtain, set a sound level, or had a conversation, I learned something new that I can take with me as I go along. The amount of hands-on experience I am getting here is bettering my future in the arts,” he said. 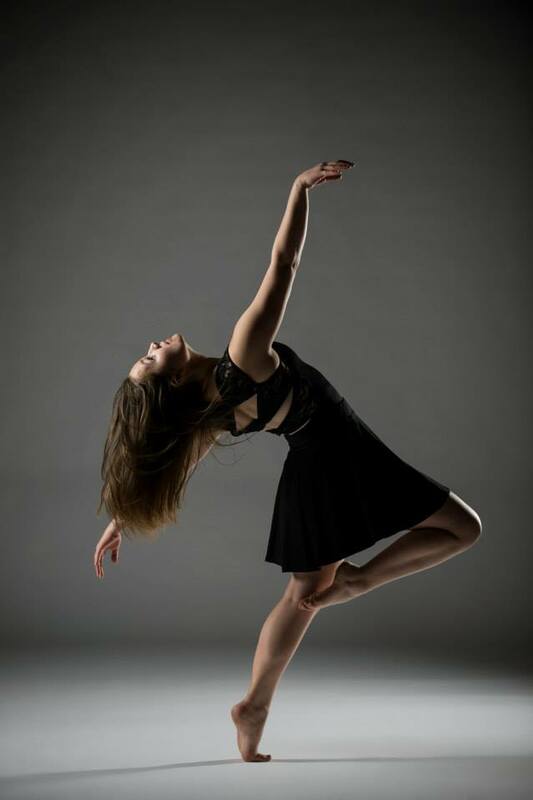 Chalice Streitman will be heading into her final year at Slippery Rock University after she leaves BDF, where she is working on degrees in Dance and Exercise Science. 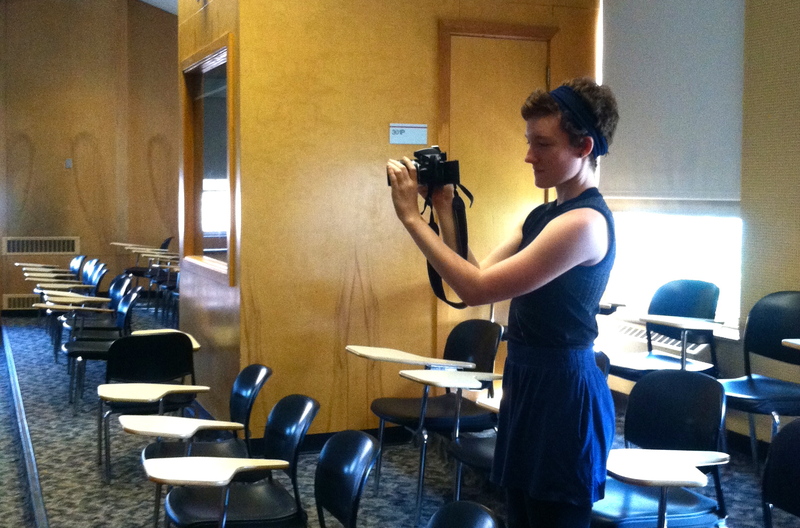 In addition to performing, choreographing, and improvising, Chalice is the student video archivist for the Department of Dance at Slippery Rock. I have studied video and dance in a multitude of ways including traveling to Seattle last summer to participate in a three-week dance film festival. During that festival I produced a short dance film. For my Senior Synthesis project, I wrote and received a grant to enable my attendance of Dance on Camera in NYC last January. This grant also funded the creation of my latest dance film. Chalice worked as a Videography Intern here at BDF. She helped the video team film performances and events, aided in video editing, and participated in brainstorming sessions for the best ways to connect the Festival to the rest of the world. Chalice is looking forward to utilizing these new skills when she returns to Slippery Rock, and in the pursuit of her goals in the future. Benjamin Mielke currently serves as a Videography/Media Intern here at BDF. He received his B.F.A. 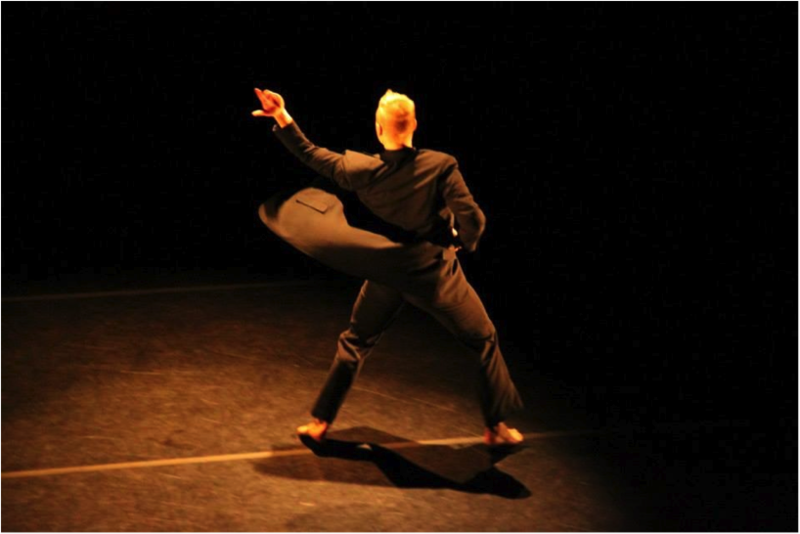 in Modern Dance from the University of Illinois (2006) and his M.F.A. in Modern Dance from the University of Utah (2013) with a Certification in Screen Dance (Dance for Camera.) From 2005-2014, Ben served as Technical Director, Aerial Rigger, and a Performer with Robert Wood Dance New York. He currently reside in St. Louis, Missouri, where he has several ongoing creative projects (choreographic, dance photography, dance for camera, mixed media installation, and template drawings) as he applies for university teaching positions for the 2016-2017 academic year. 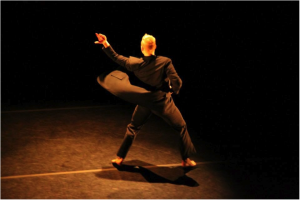 As Ben returns from BDF, he hopes to continue working on his creative projects as he applies for teaching positions. His template drawings and dance photography have garnered a lot of attention, and he is considering putting together a local installation. 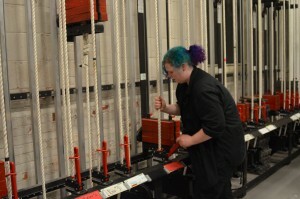 “I am also truly hopeful to find a space in which I can continue my exploration of the aerial harness rig,” he said. “It is something that allows me to interact with gravity in a completely different and amazingly awkward way.” Check out Ben’s website here.